Exploring London on a budget.. 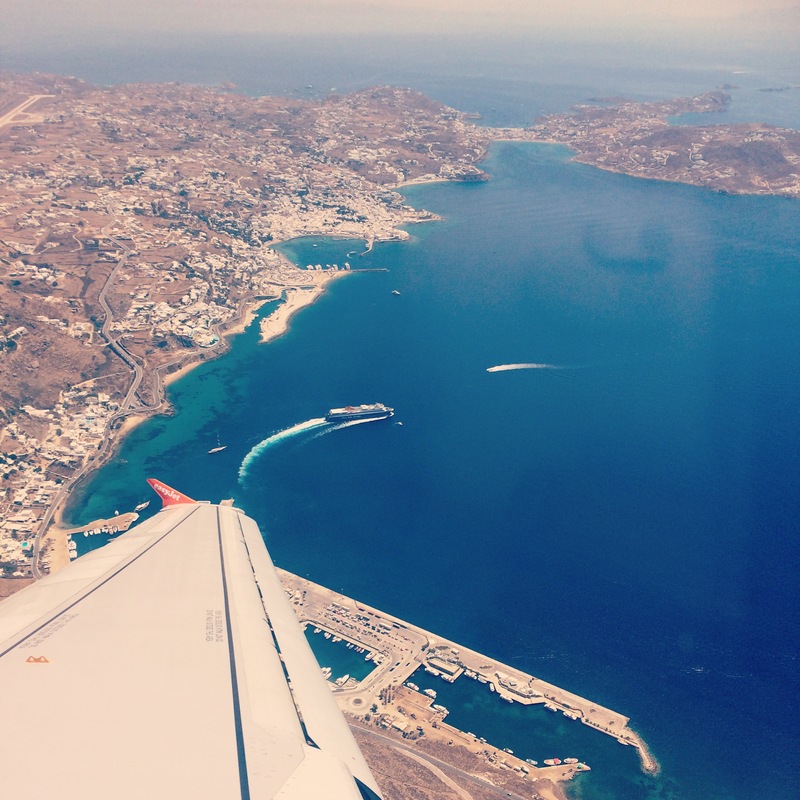 If you’ve never visited Mykonos before, I suggest you get onto Jet2 (or your jet agent if that’s the way you roll) right away and get that flight booked. 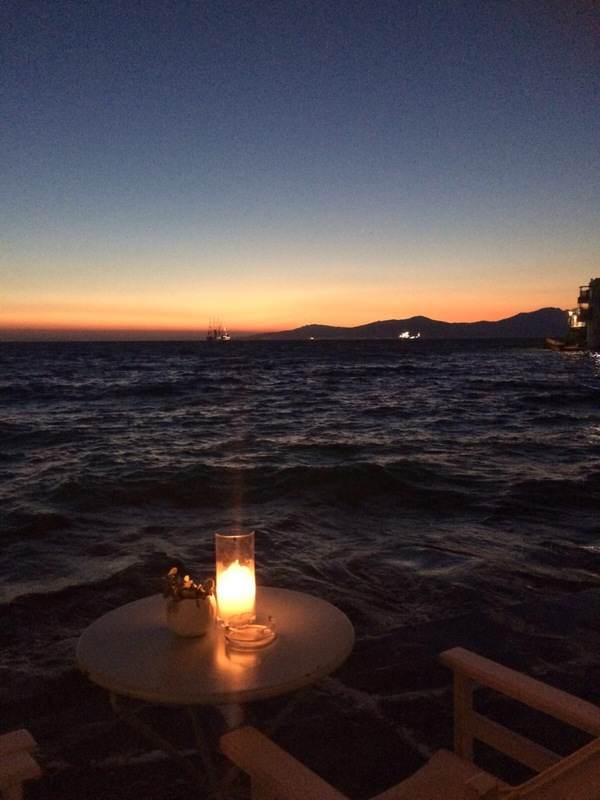 It’s Greece’s answer to a cosmopolitan Ibiza and you simply cannot go wrong. 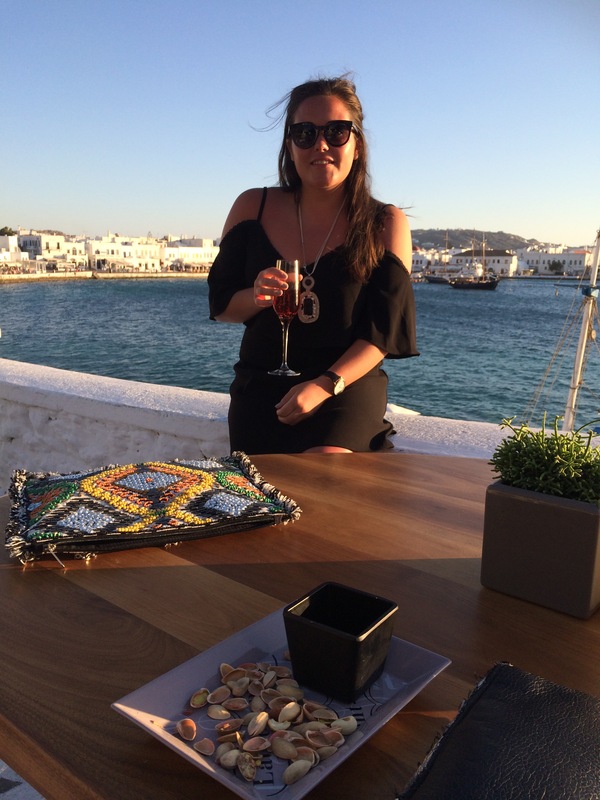 Mykonos is rapidly becoming more and more popular with the ‘it’ crowd as a holiday destination and particularly a wedding venue. The wedding of Ana Beatriz Baros (the Victoria’s Secret beauty) and her Greek-Egyptian tycoon husband was taking place whilst I was there this summer and I think the guests took over the entire island! There’s the island and then there’s the town. 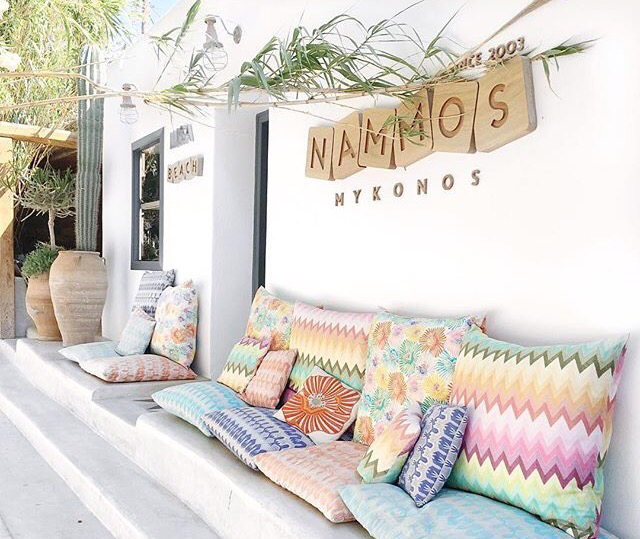 Mykonos town is full of atmosphere; tiny cobbled streets lined with beautiful boutiques selling woven handbags, gorgeous white dresses, espadrilles, gladiator sandals and rose gold sunglasses.. You get the idea. It’s every fashionista’s dream shopping location, as long as the bank balance agrees! And the rest of the island? Well, there’s not a lot going on other than a few swanky hotels dotted around the bays. Another evening hotspot is Little Venice. 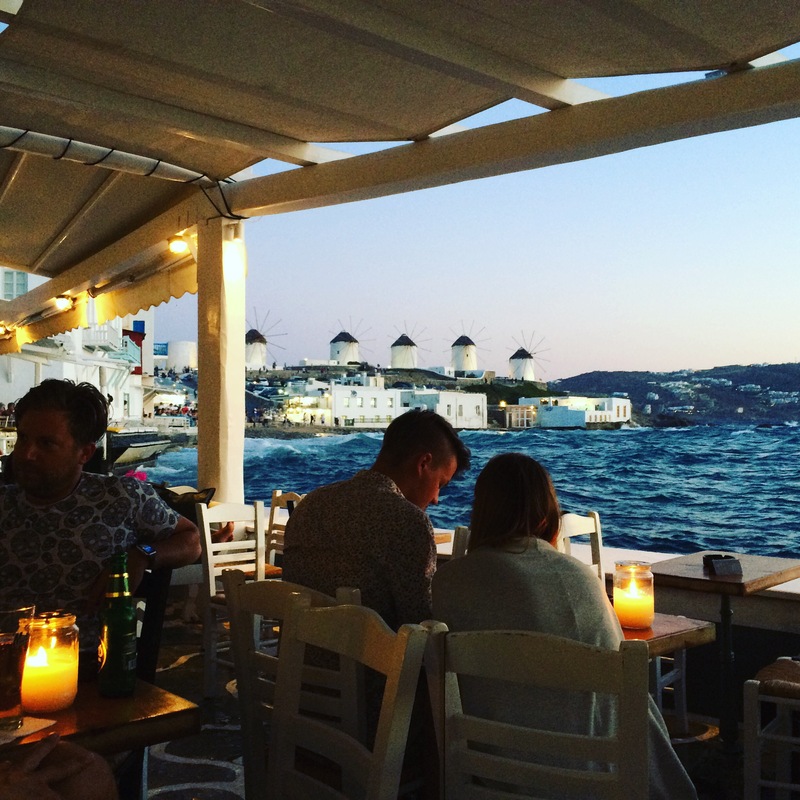 This is the most breathtaking area of Mykonos town where locals and tourists alike gather to watch the sunset. 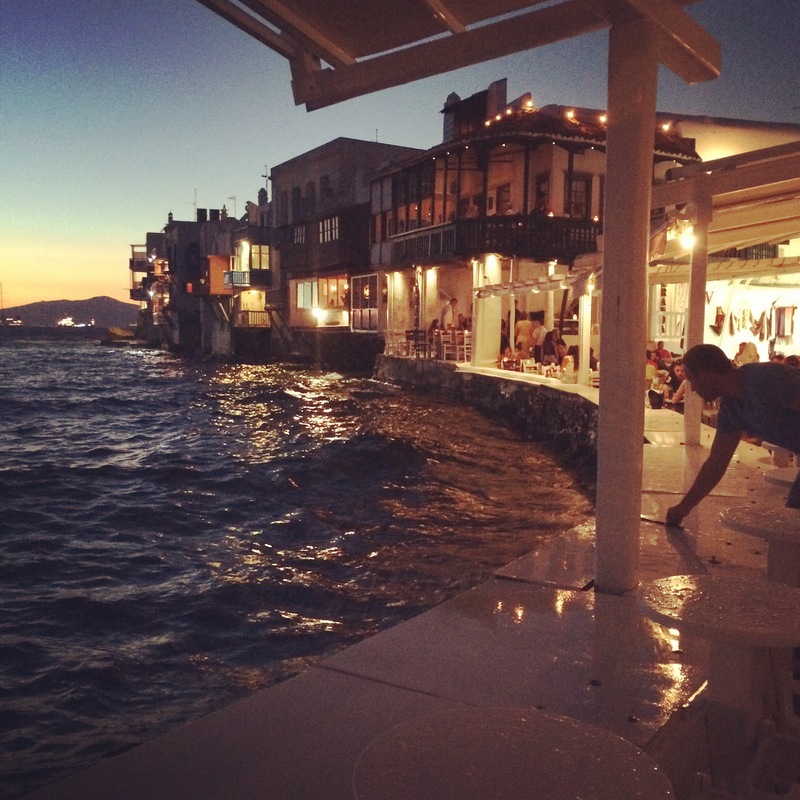 You’re best to get there a little early (around 8pm) to grab a table at one of the many bars crammed along the water front, get yourself a glass of something fizzy and await the performance. It really is spectacular and everyone applauds as the sun finally sets at around 9pm. 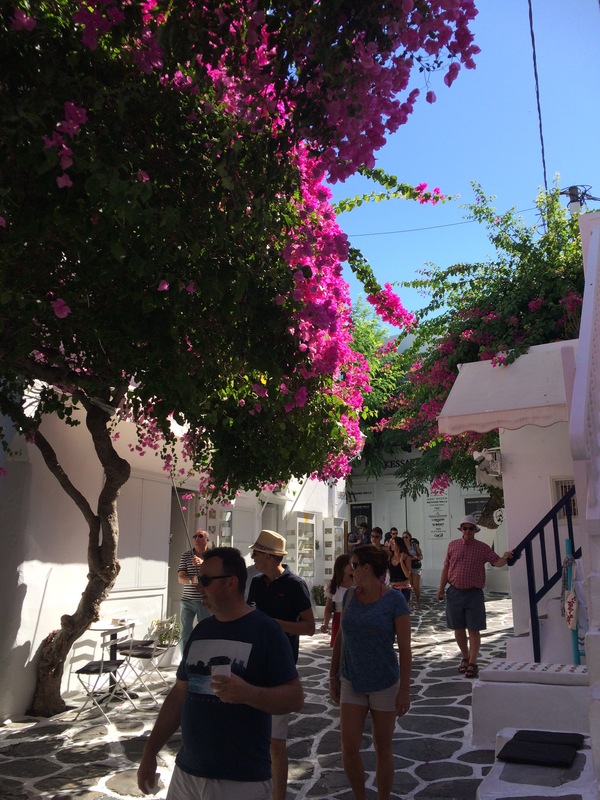 The famous windmills of Mykonos neighbour Little Venice so you can kill two birds with one stone! 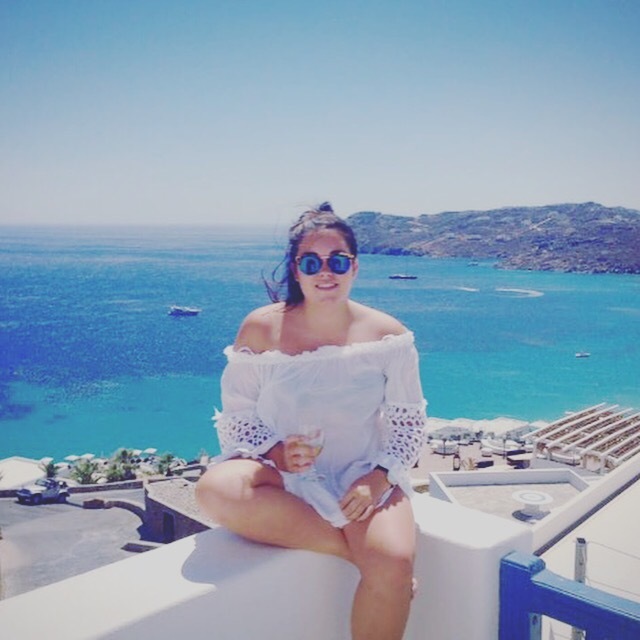 The world doesn’t revolve around Mykonos town though. 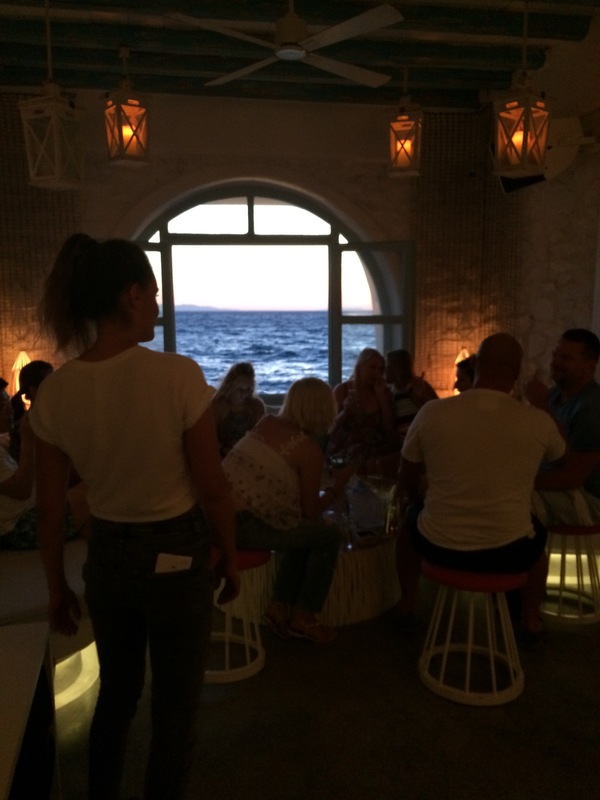 Head out to Nammos beach (www.namos.gr) if brushing shoulders with the rich and famous is your thing. 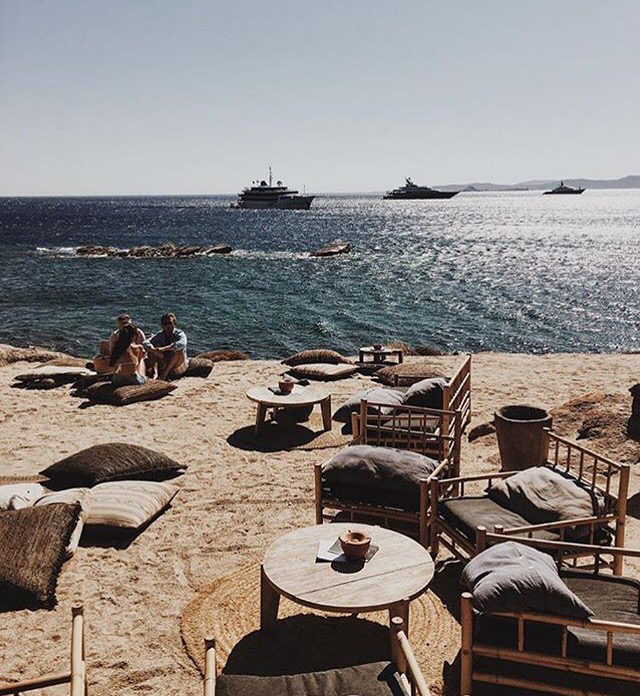 A glamorous hotspot for baking in the sun, eating delicious fresh food and dancing the day away whilst spending copious amounts on champagne and cocktails. But hey, what are holidays for? If you’re into luxury 5* accommodation (why wouldn’t you be?) 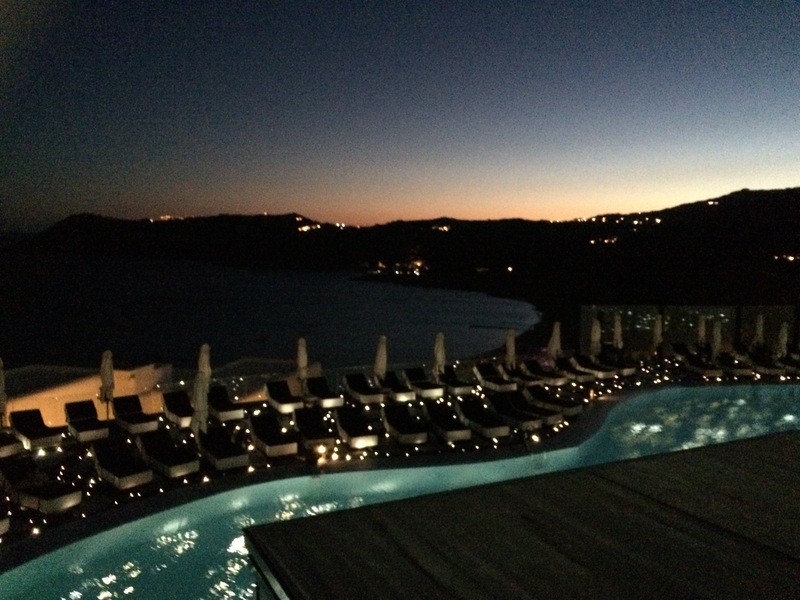 the options are endless… I stayed at the Royal Myconion Resort at Elia Beach, about 20 minutes from Mykonos town. Check out that view! Perfect location, perfect room, perfect service, perfect food, perfect spa (although the masseuse left me feeling fragile after focussing on my painful shoulder – thanks yachting!) 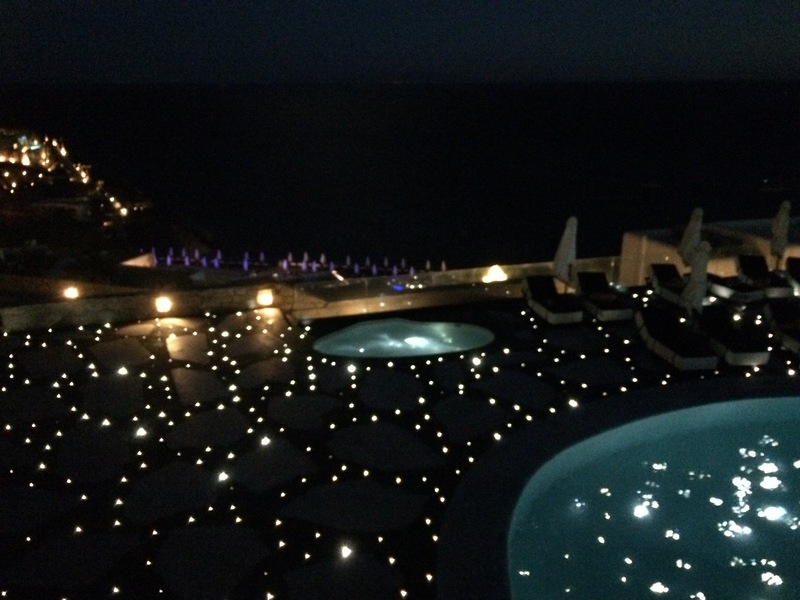 I will be posting a review of my stay in due course… And yes, I will be banging on about how utterly gorgeous the pool terrace looked at night. This glittering island is definitely one to add to your list of places to go/things to see.. What are you waiting for?